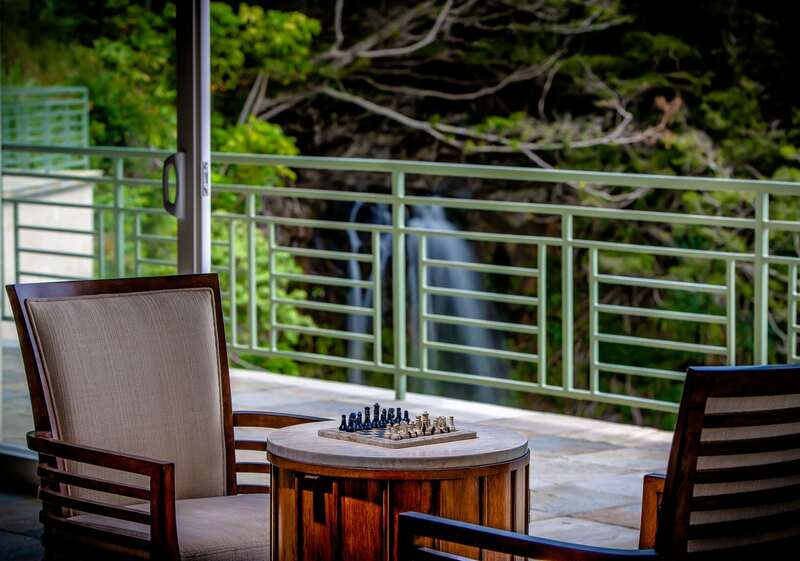 The Waterfalling estate has truly unbeatable views overlooking the Pacific Ocean and the cascading waterfalls that inspired its name. 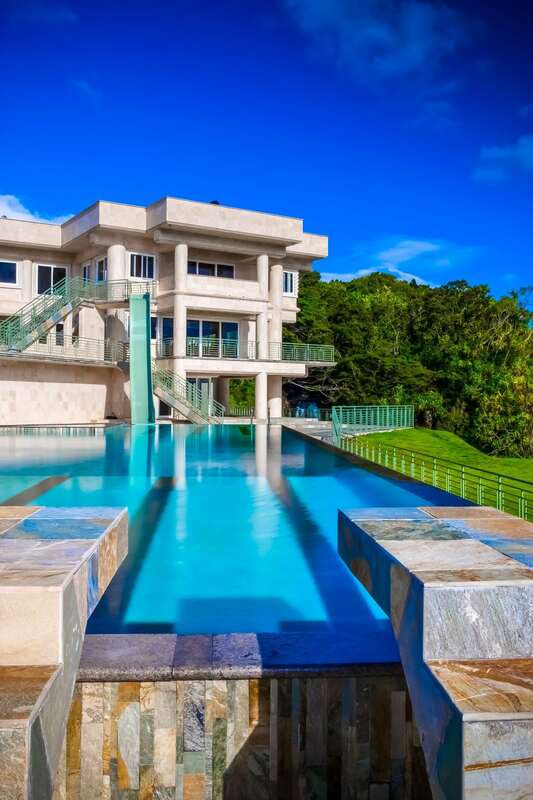 This modern home is four stories of solid, reinforced concrete with airy, open concept rooms featuring quartzite and travertine tile. 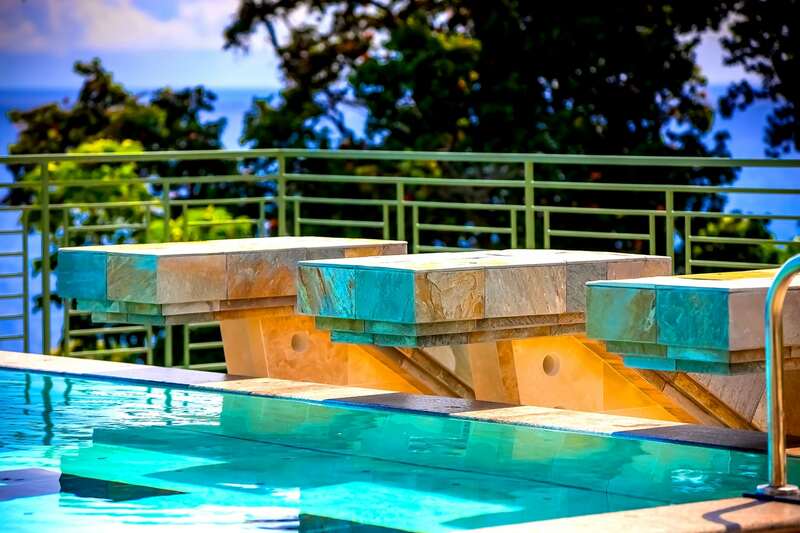 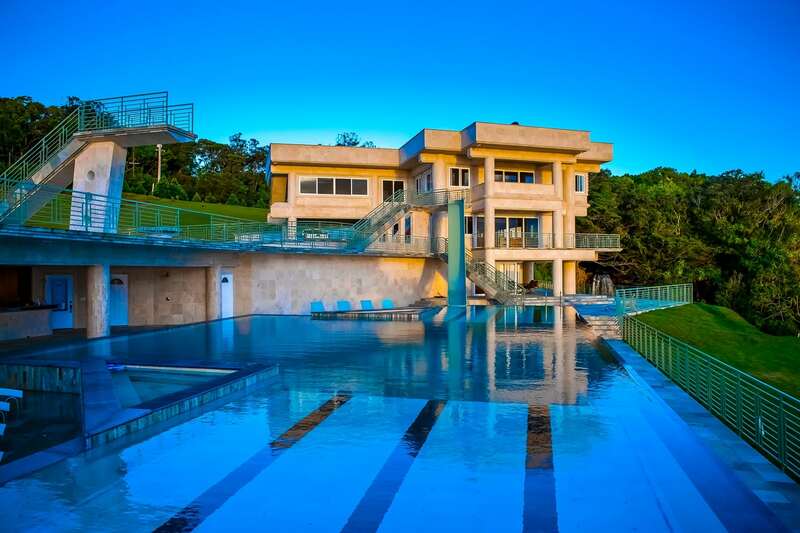 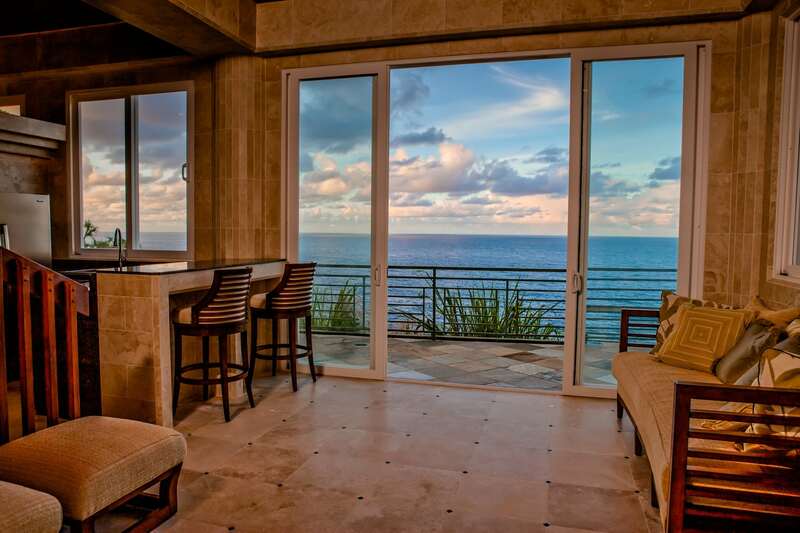 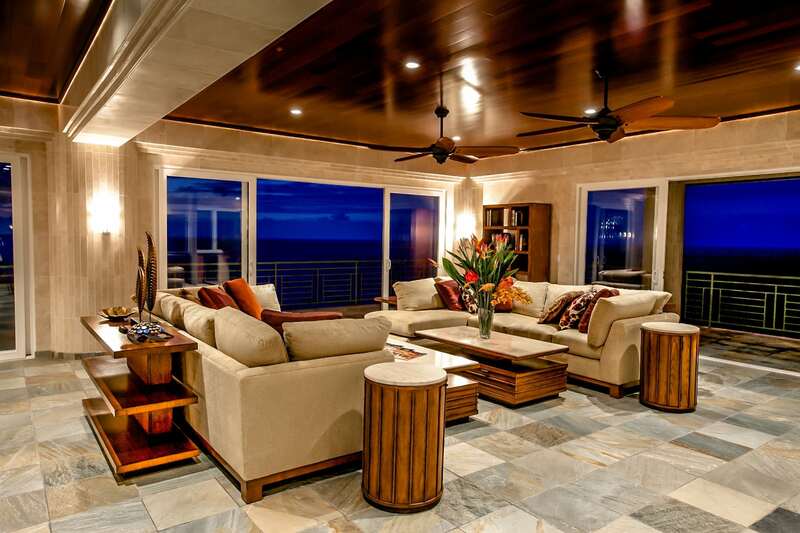 Enjoy the uninterrupted view of the ocean and falls from the rooftop deck or the cliffside pool and aquatic center. 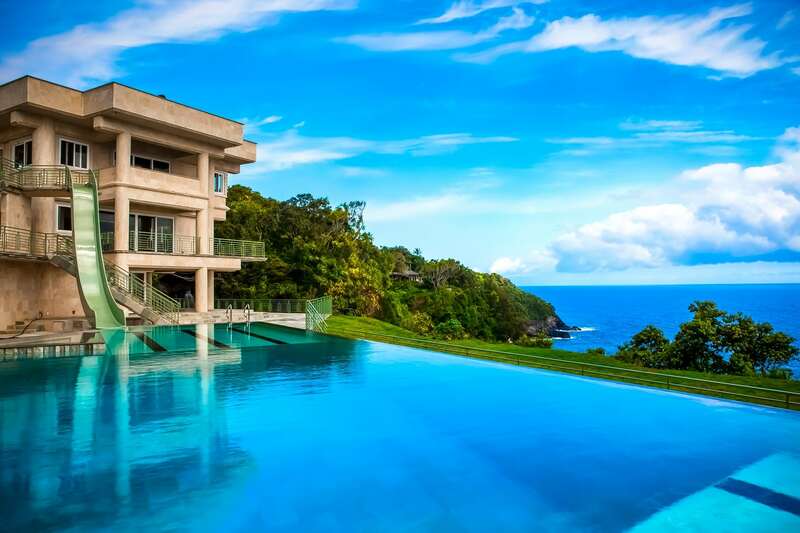 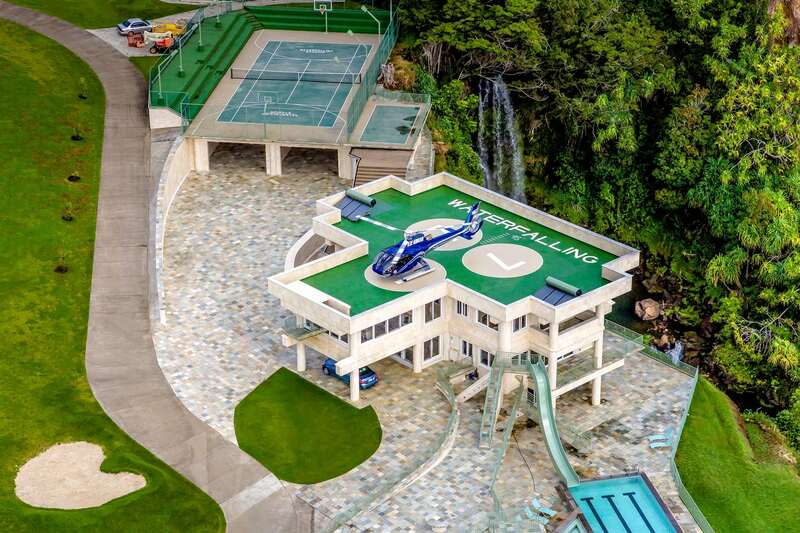 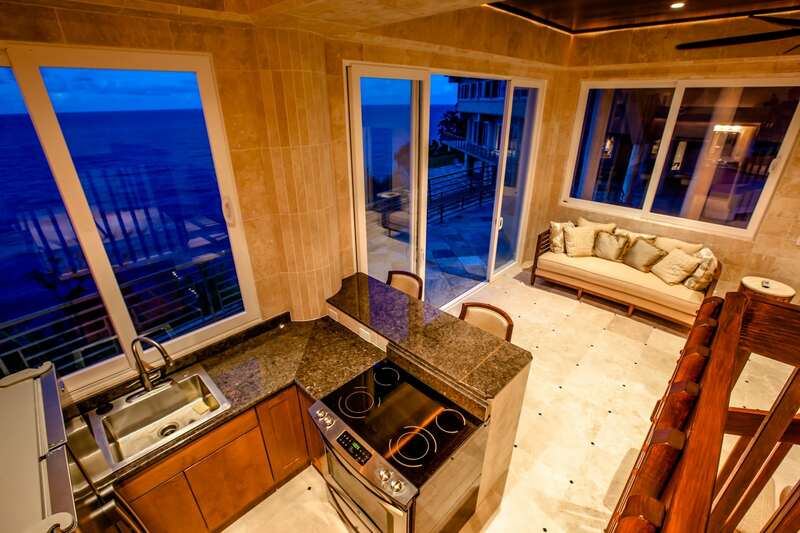 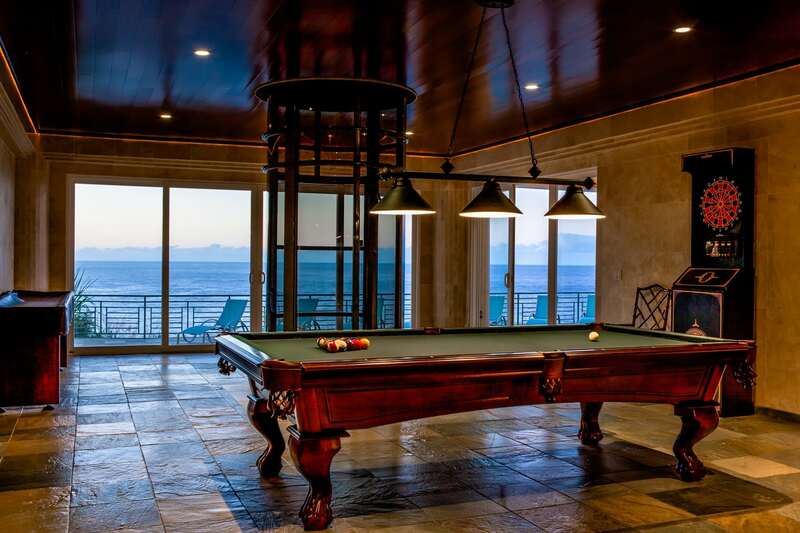 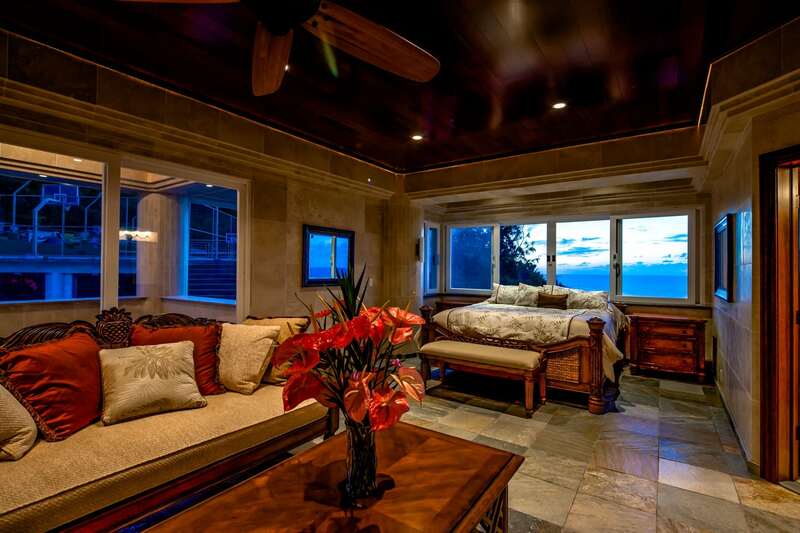 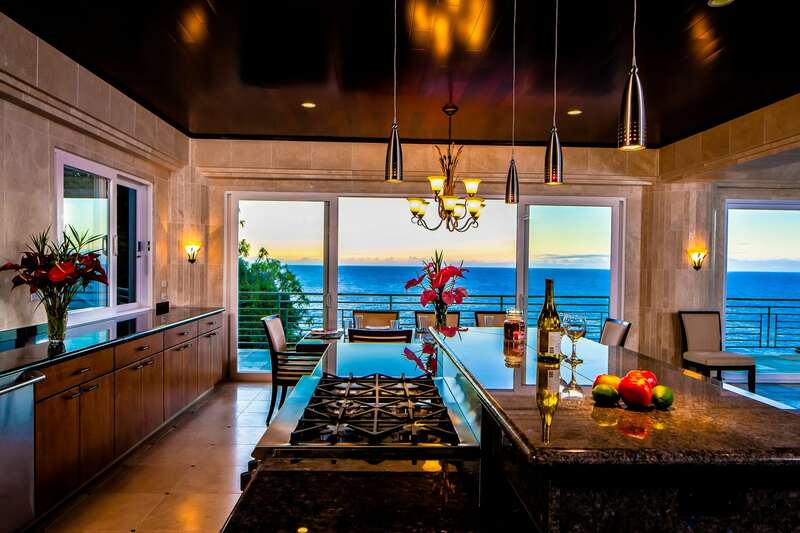 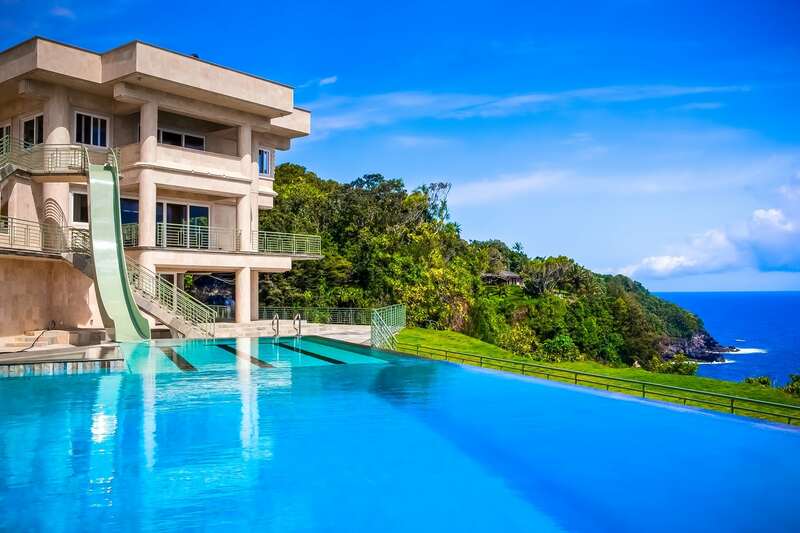 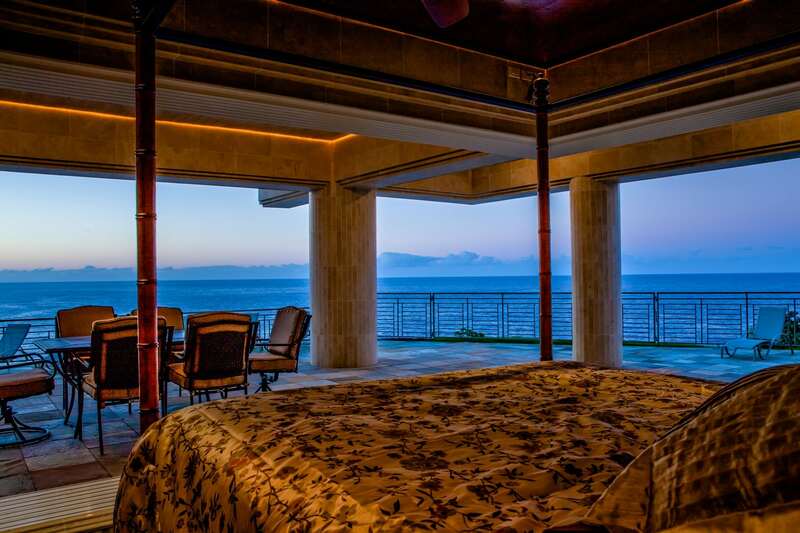 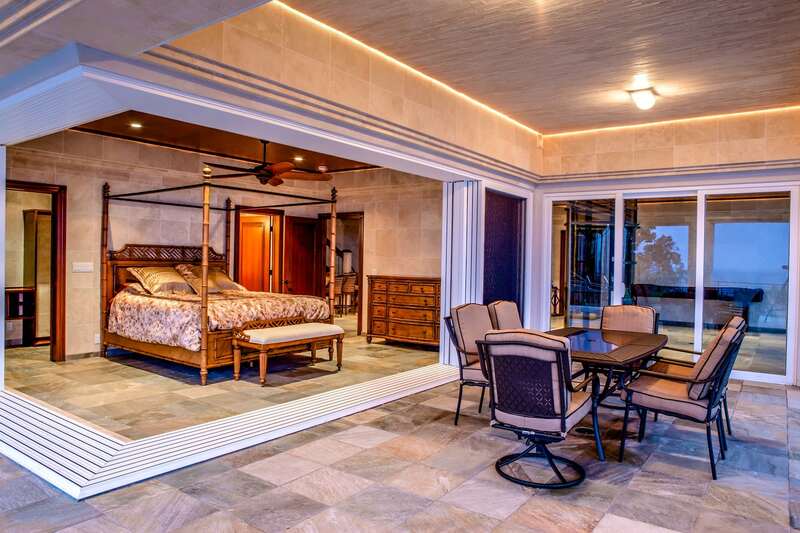 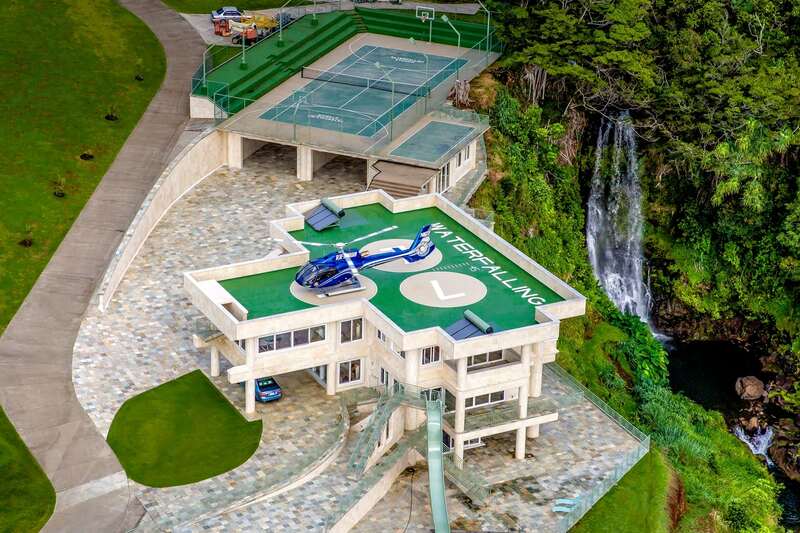 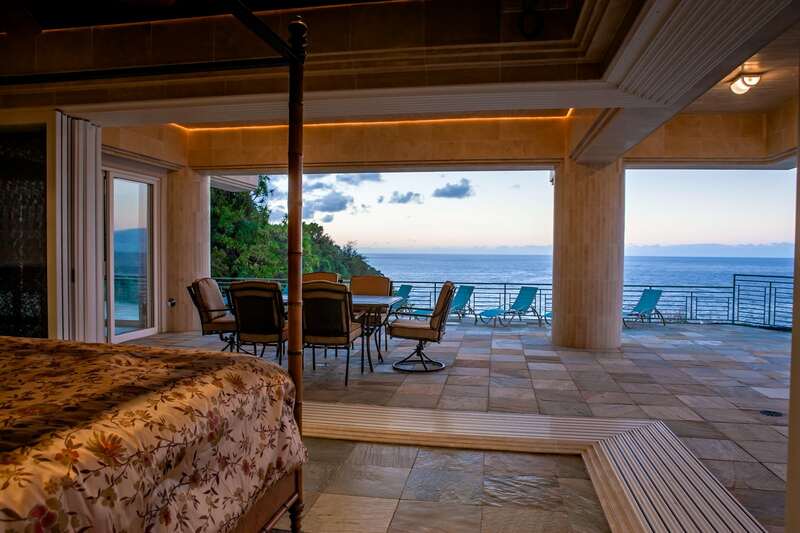 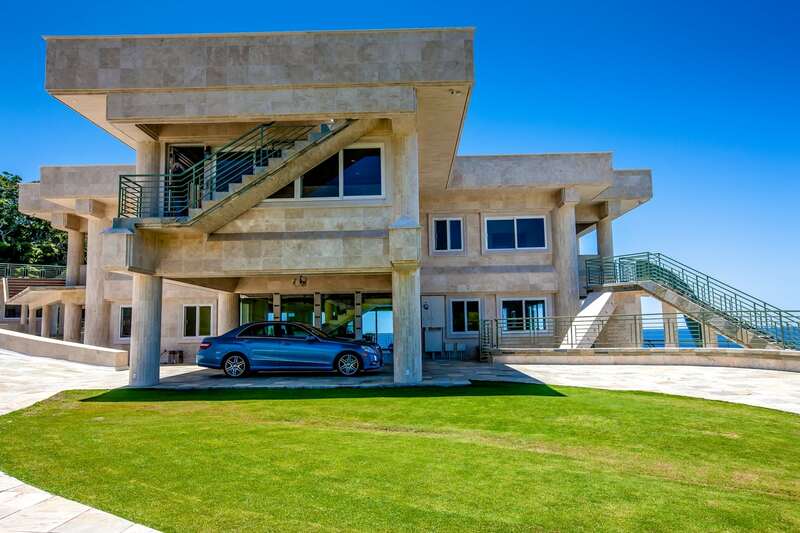 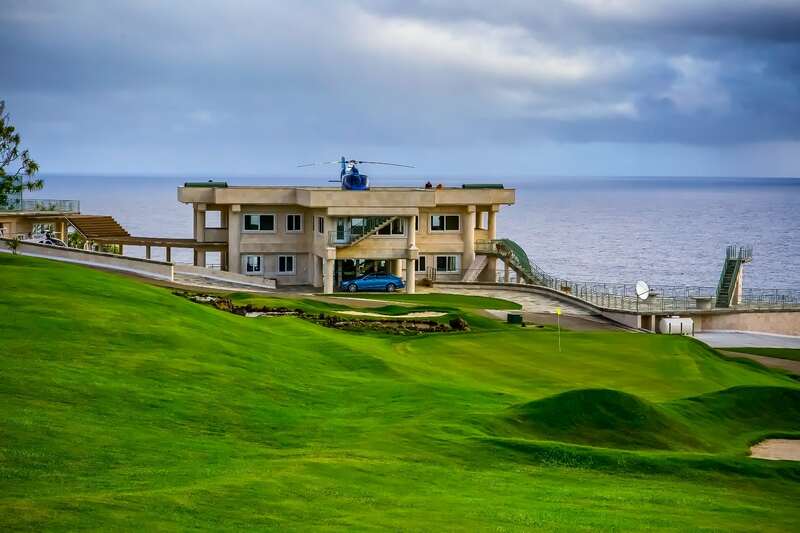 Inside the home, the ocean and waterfall can be seen from every room, including the penthouse with dual master bedrooms, fitness room, and a private veranda. 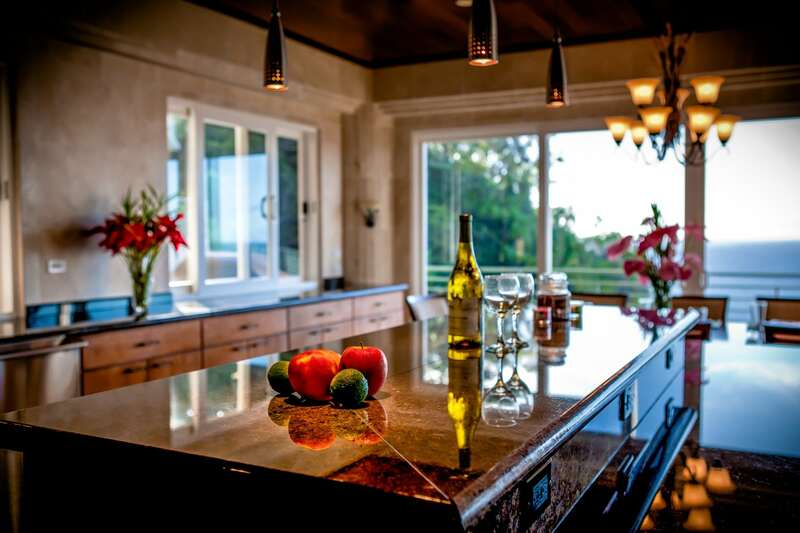 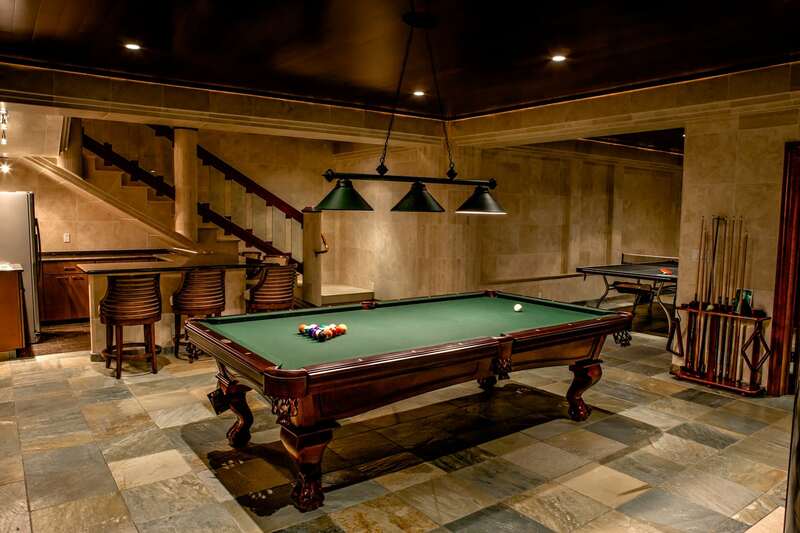 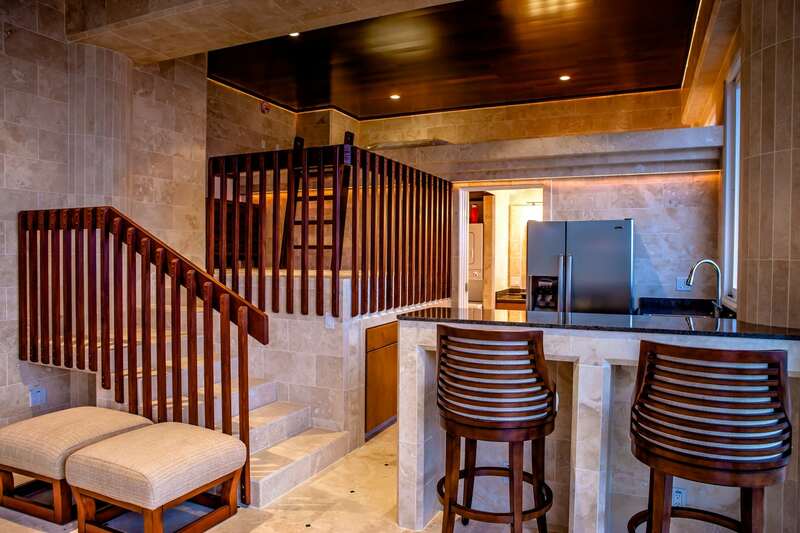 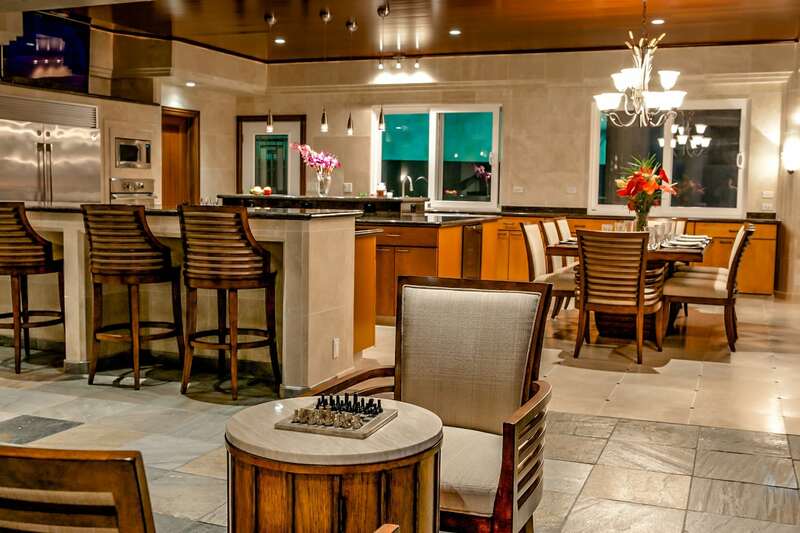 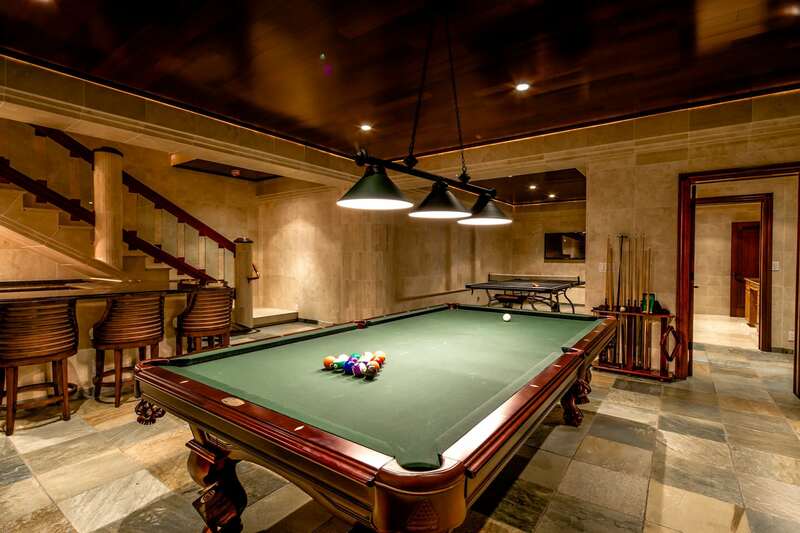 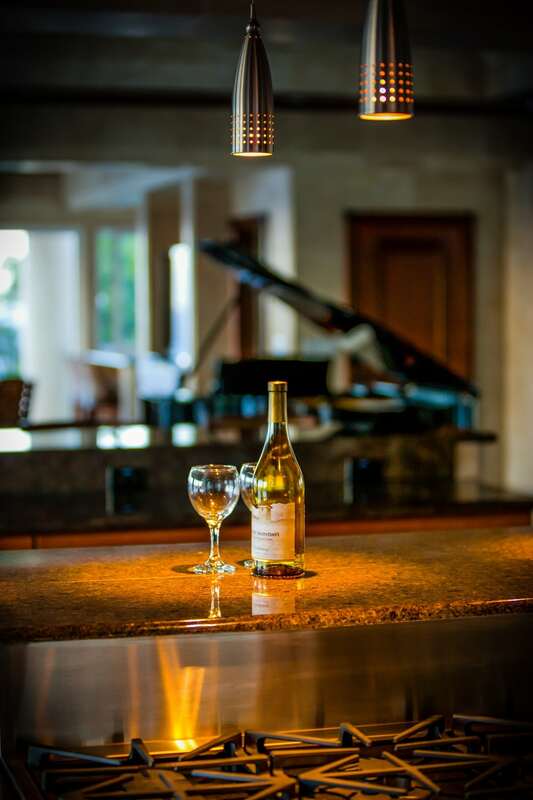 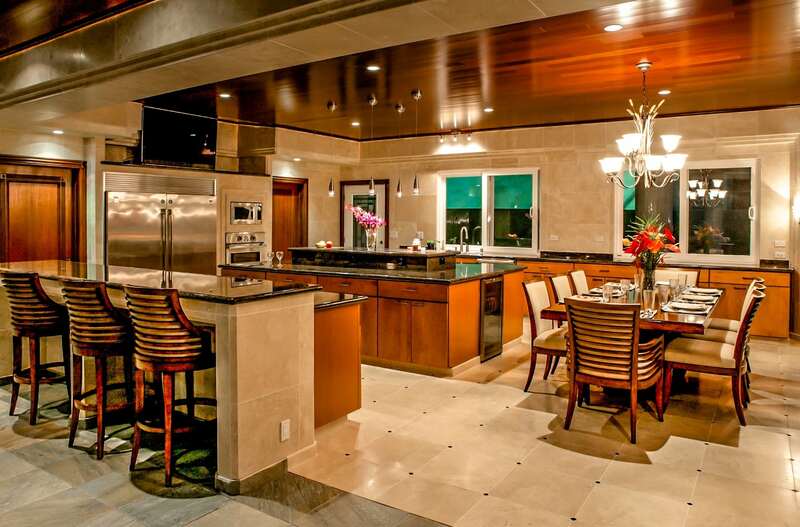 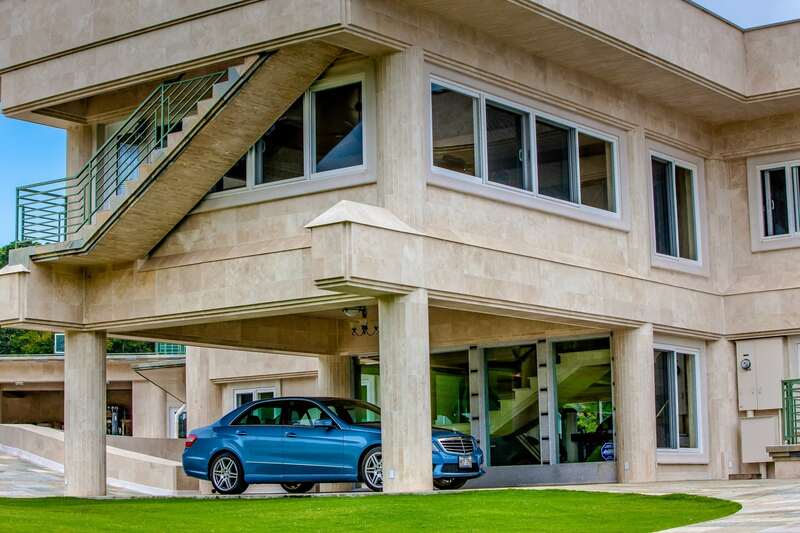 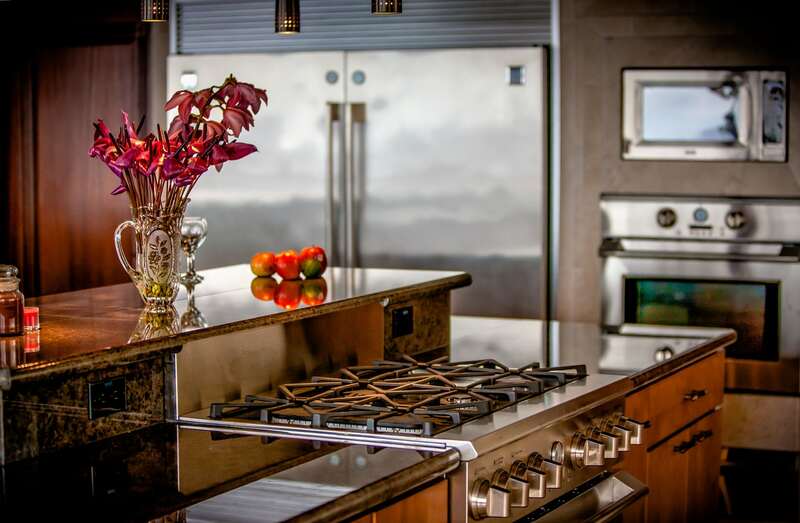 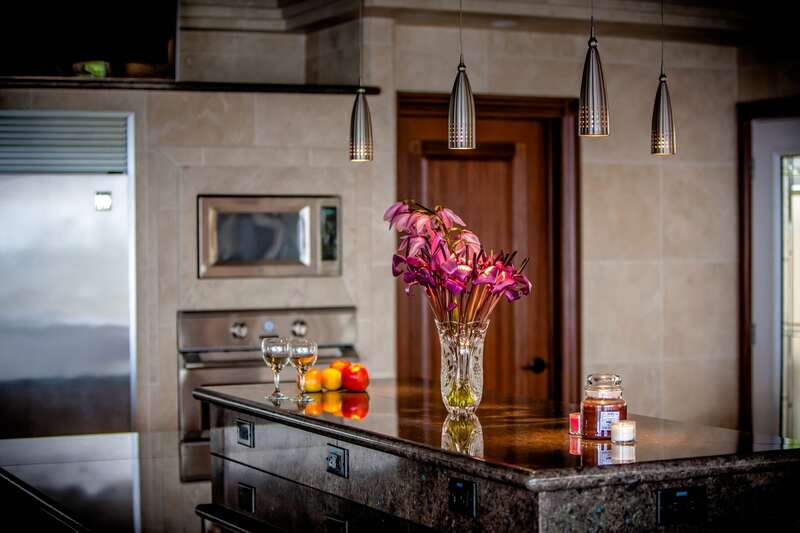 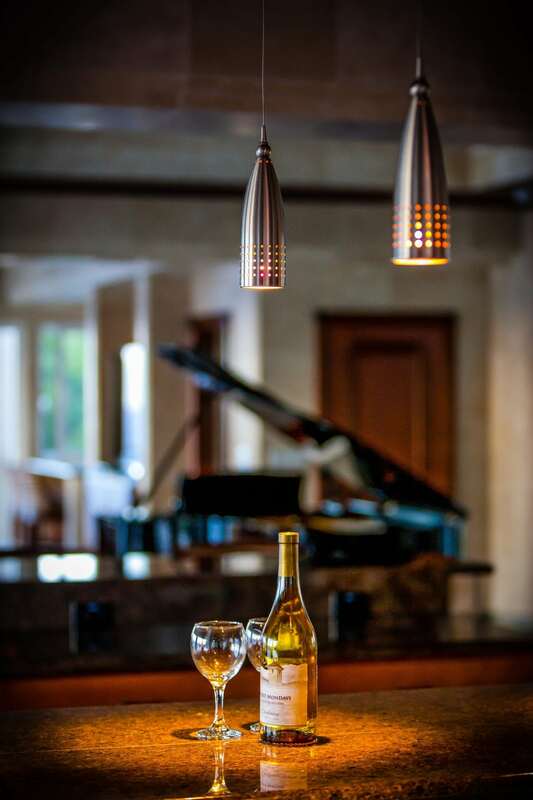 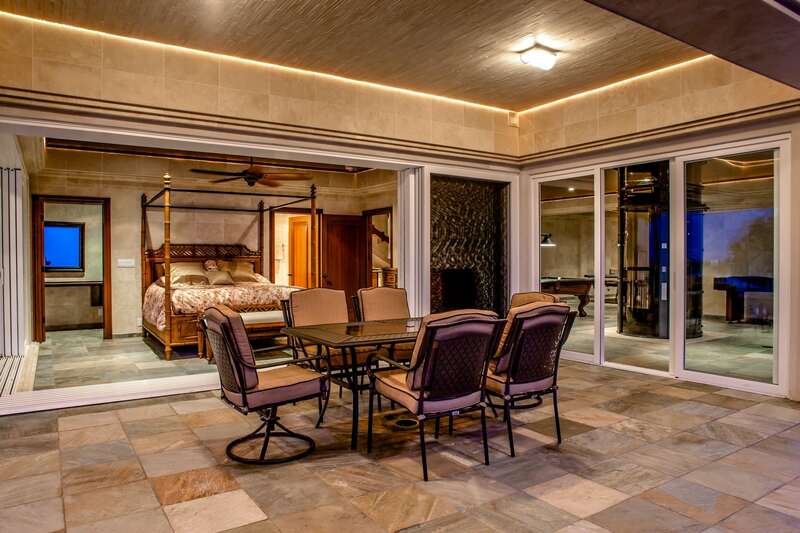 Elegant, classic touches such as the African Sapele Mahogany ceiling and plantation-style accents are combined with the convenience of the latest technology throughout the home, including the full chef’s kitchen with wet bar, 52-inch round Daytona pneumatic elevator, and more. 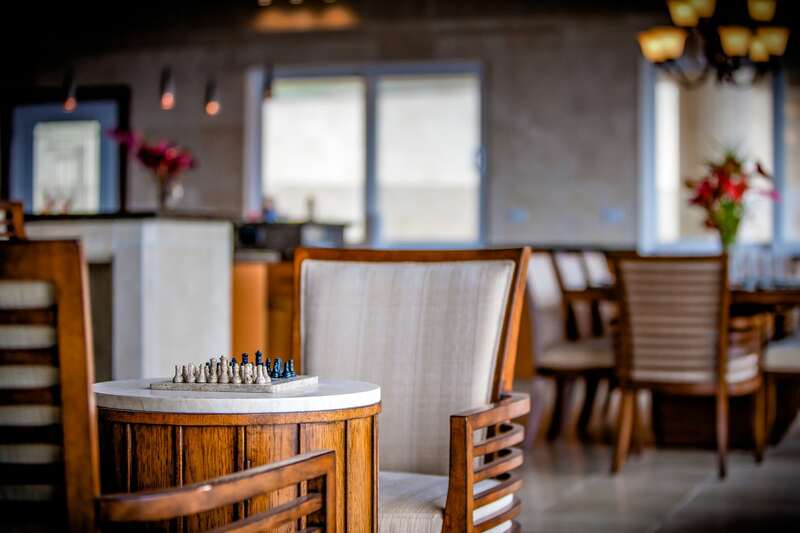 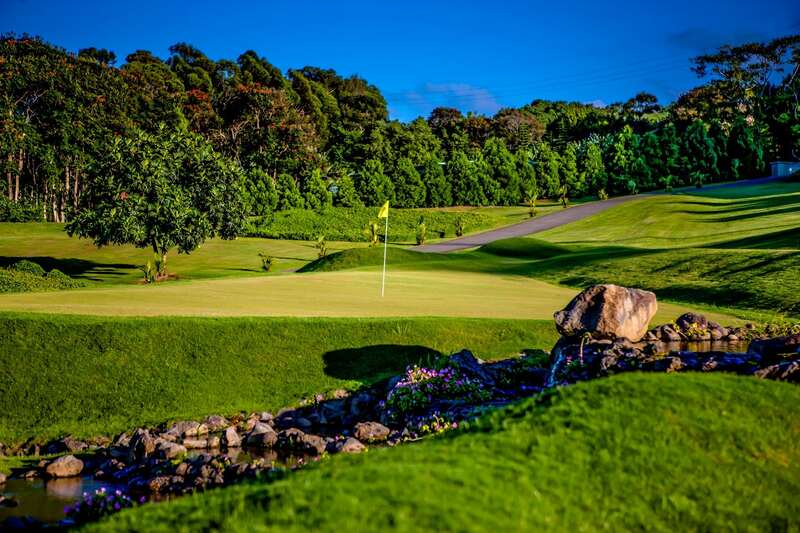 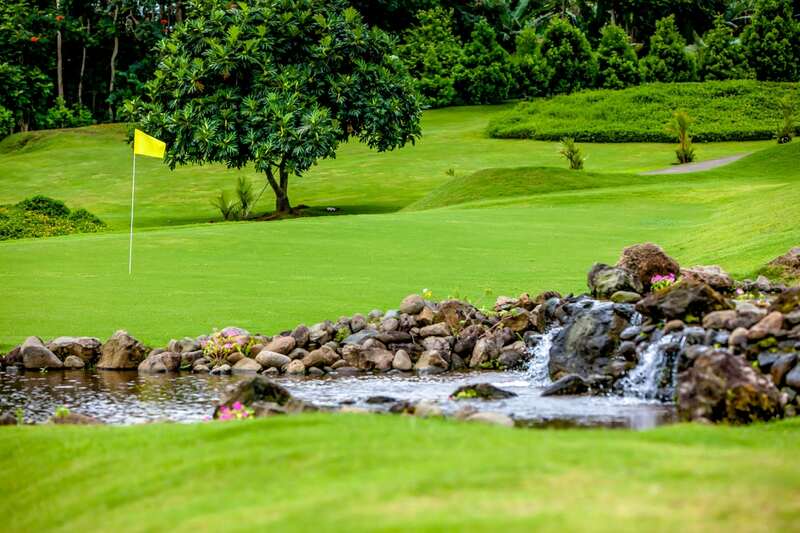 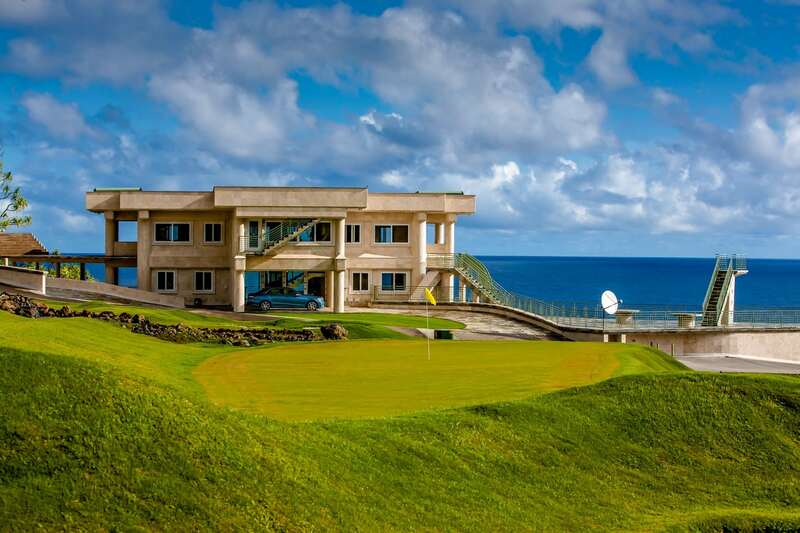 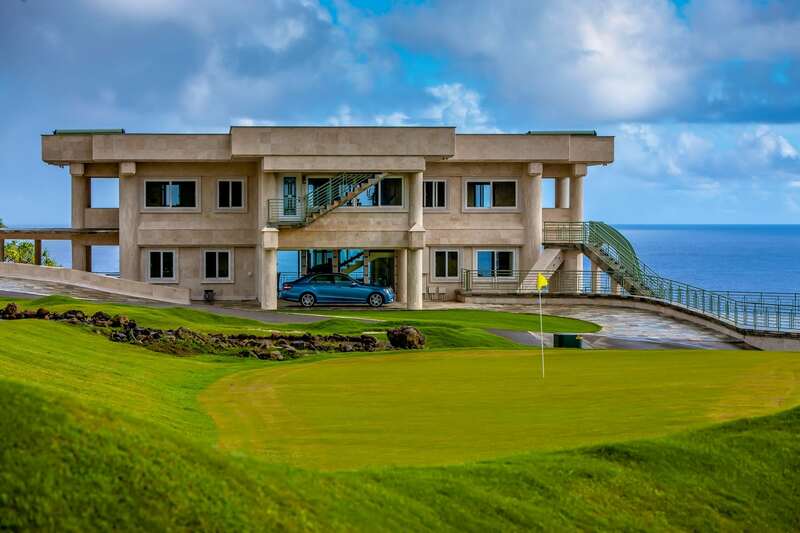 Entertain visitors indoor or enjoy the Hawaiian sun while you lounge by the pool, play basketball, or practice your golf swing. 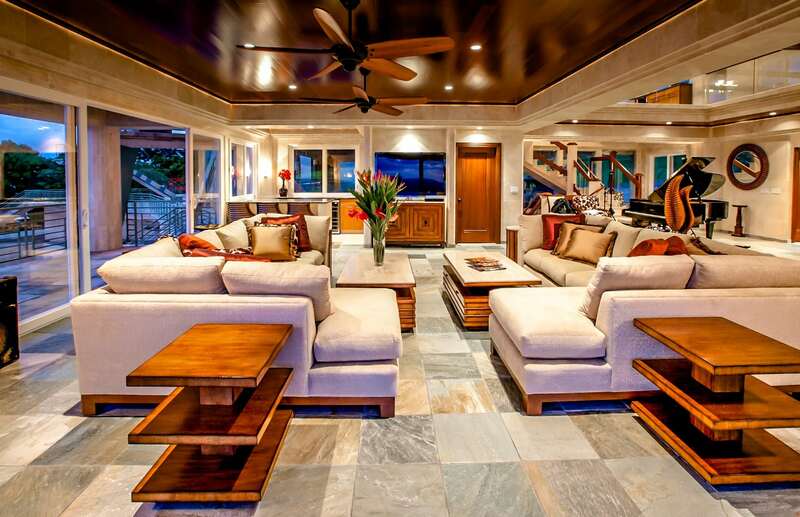 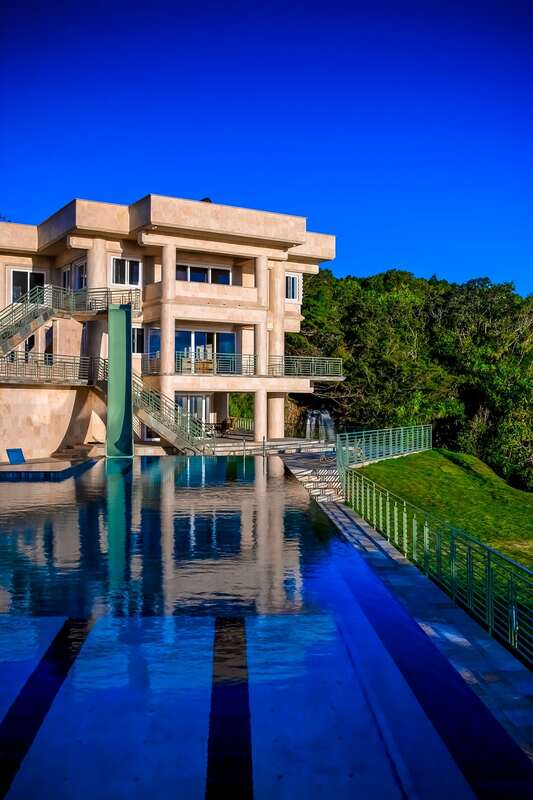 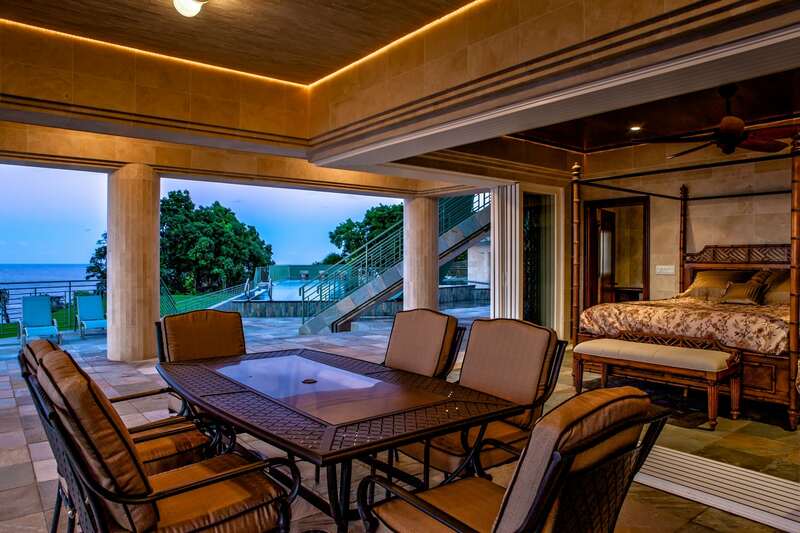 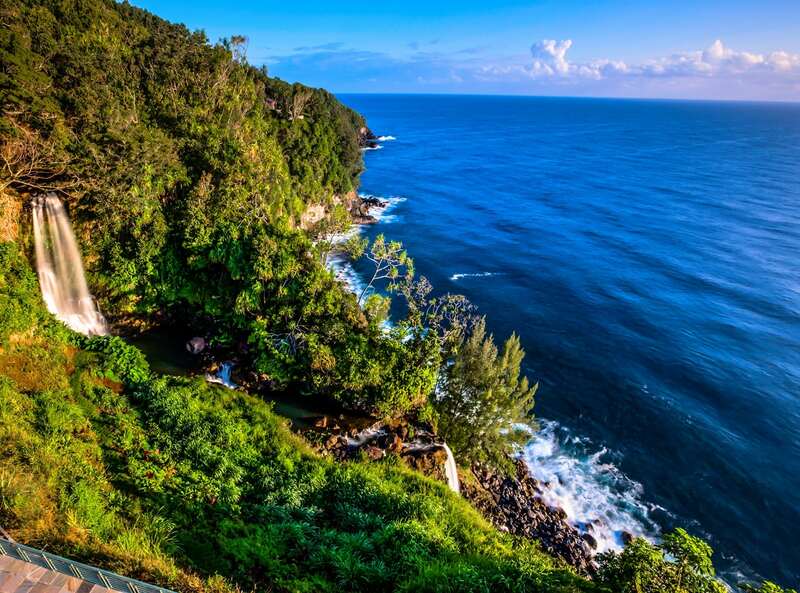 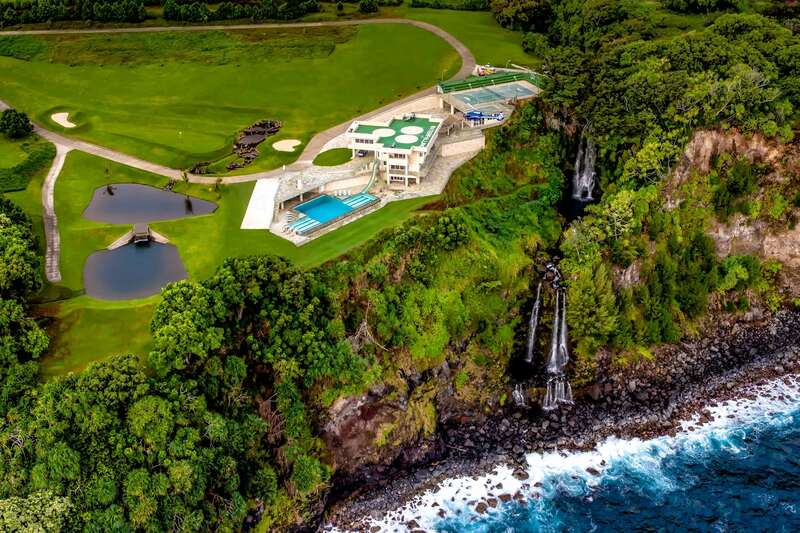 Wherever you are on this private 9-acre estate, enjoy your ocean-front paradise. 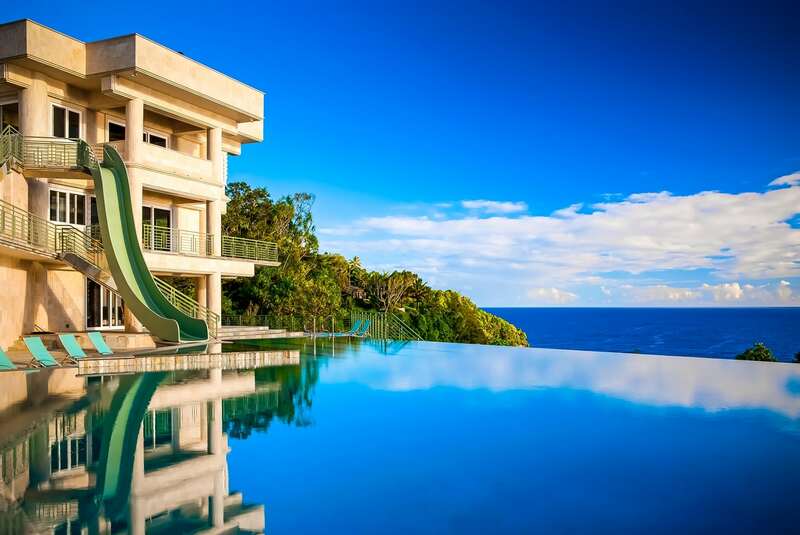 Uninterrupted views of the Pacific Ocean from every room, Rooftop deck with 9-Tee golf course, Tennis stadium with 450-person capacity, 25-meter Olympic swimming pool and 16-ft deep diving pool. 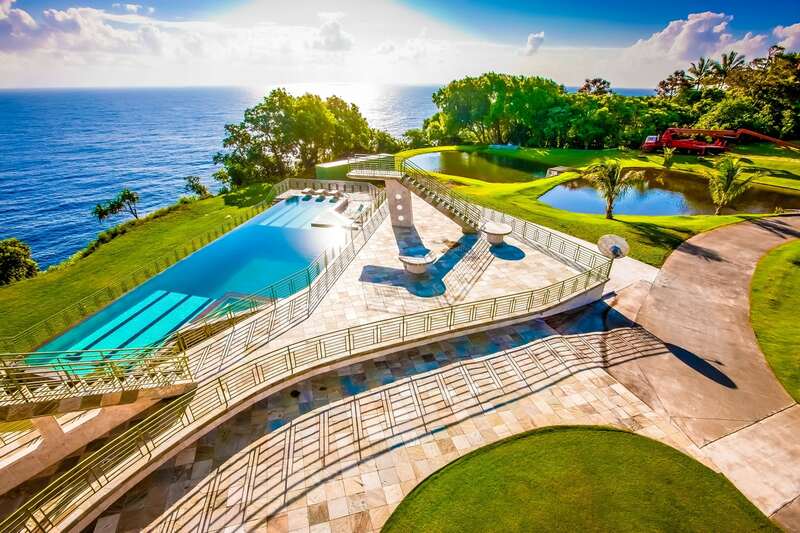 Recognized throughout the world, Waterfalling Estate has been featured on numerous popular sites, including Realtor.com, the Robb Report, MSN, and most recently MTV’s reality series “Ex on The Beach.” The incredible estate has been a popular vacation rental for celebrities and royals around the world, including Justin Bieber and members of the Saudi Royal Family. 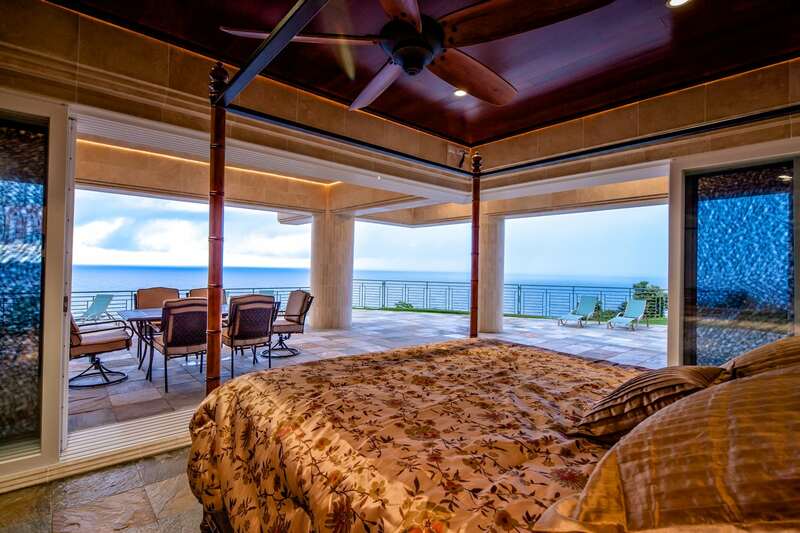 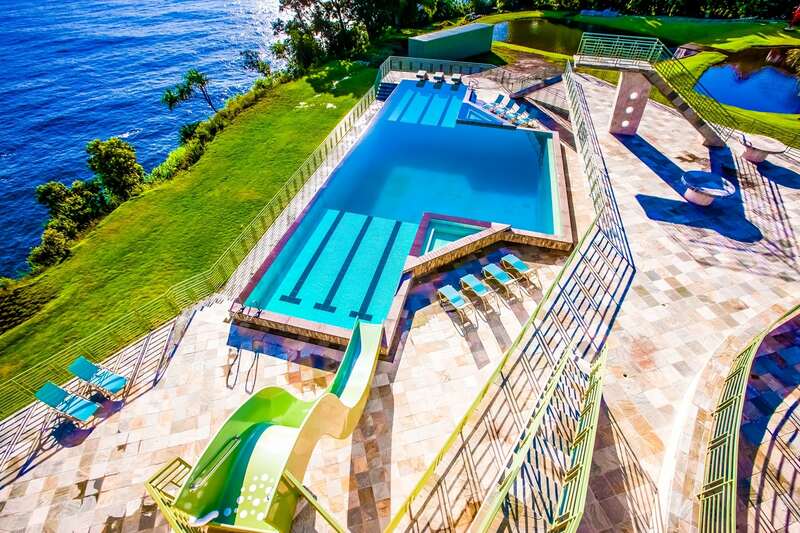 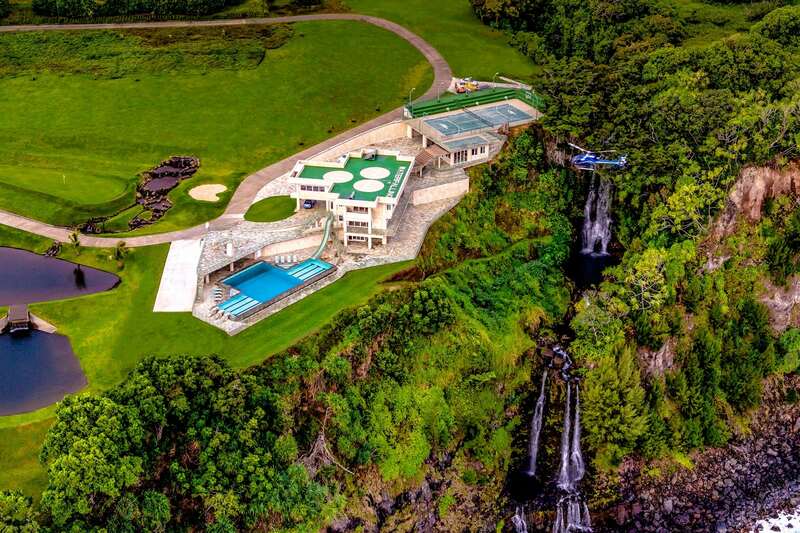 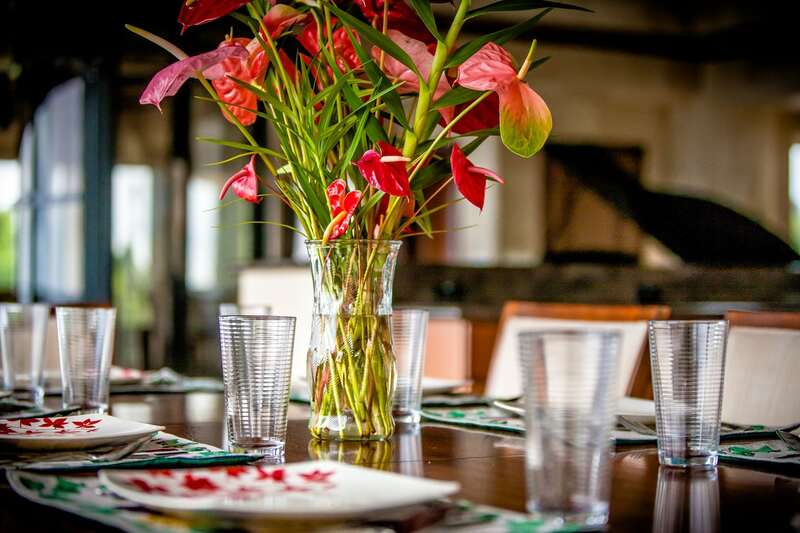 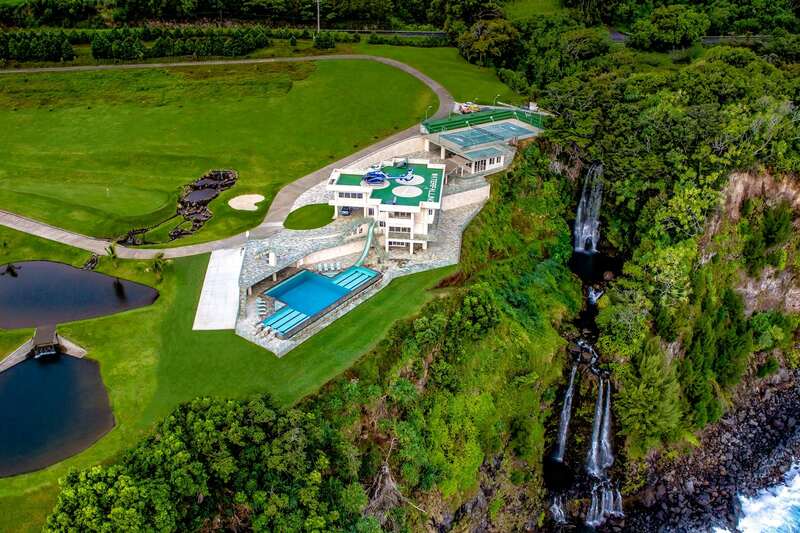 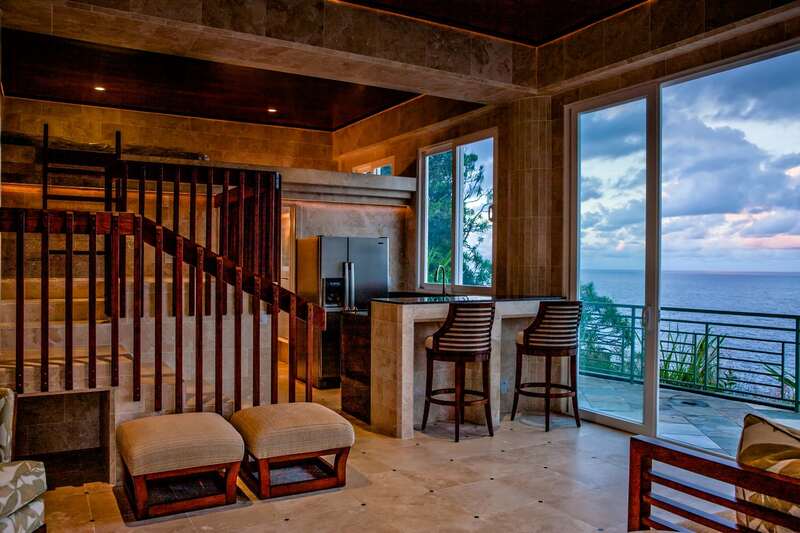 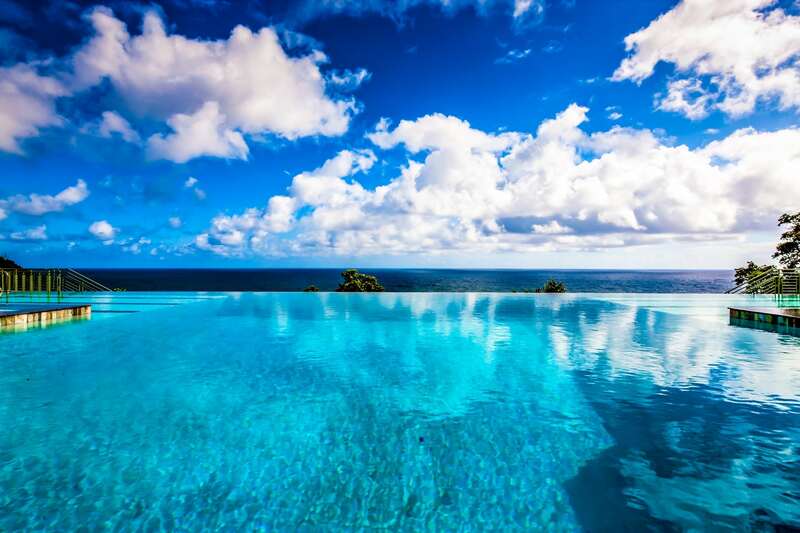 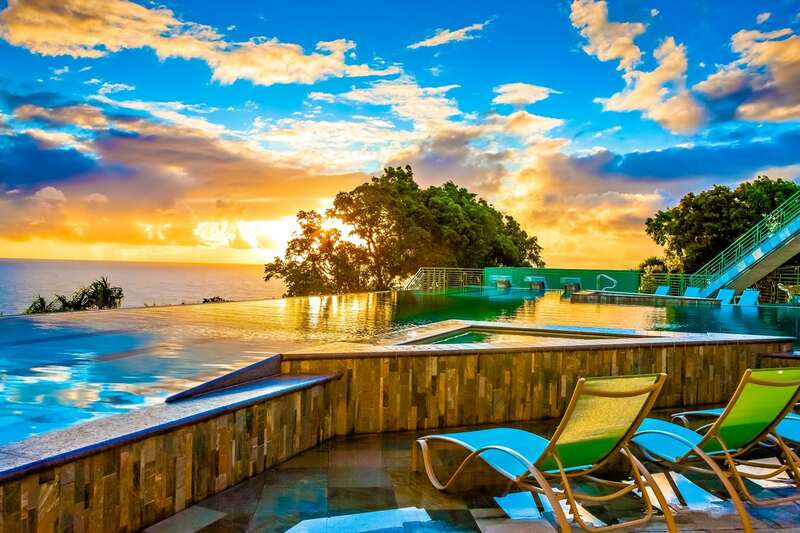 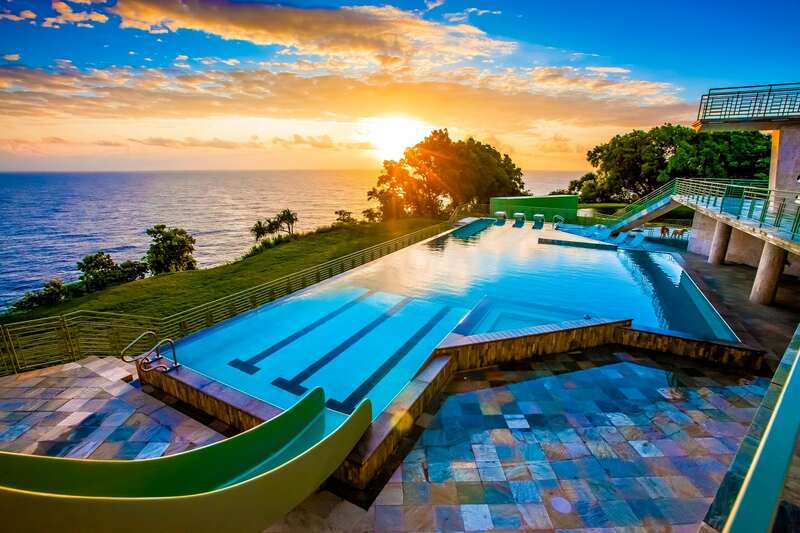 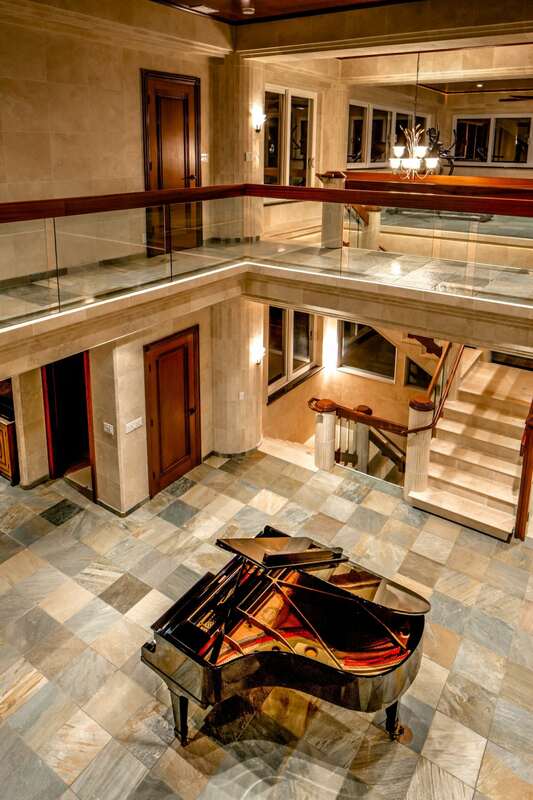 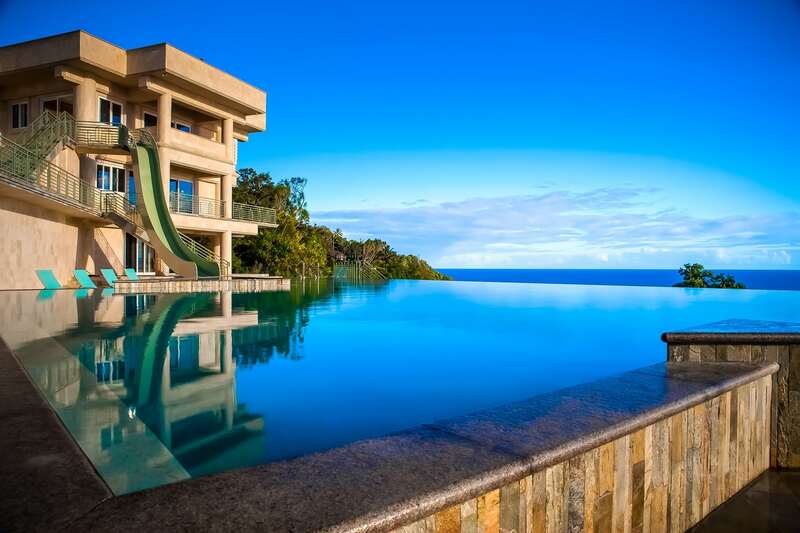 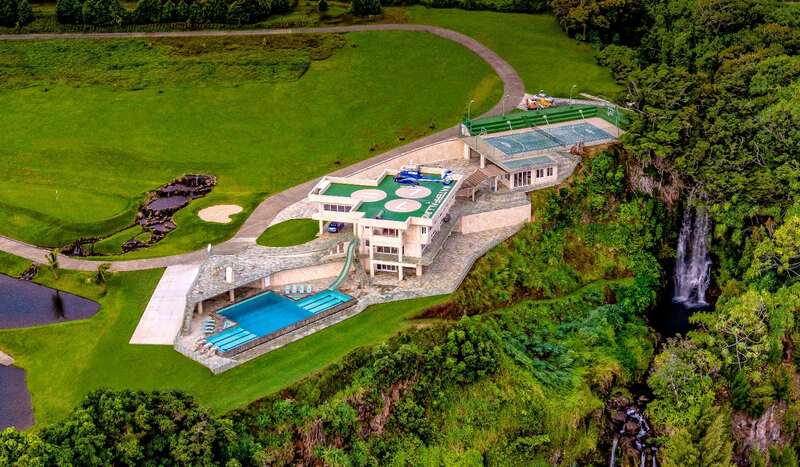 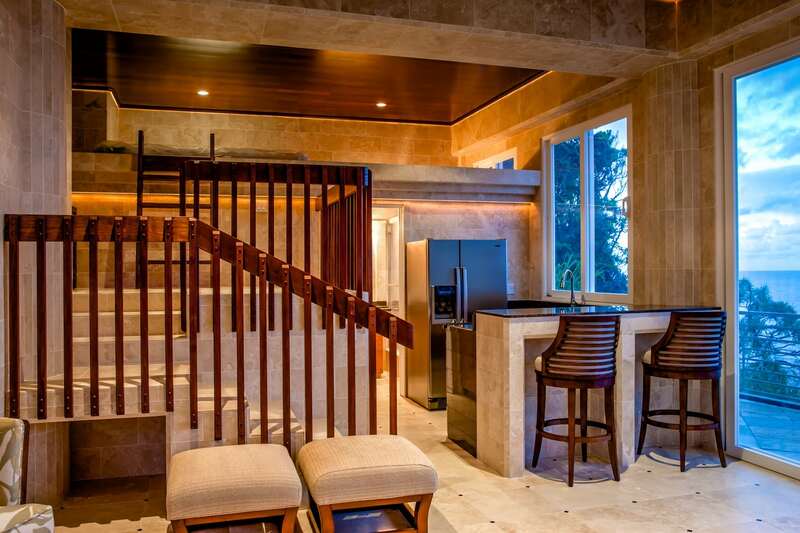 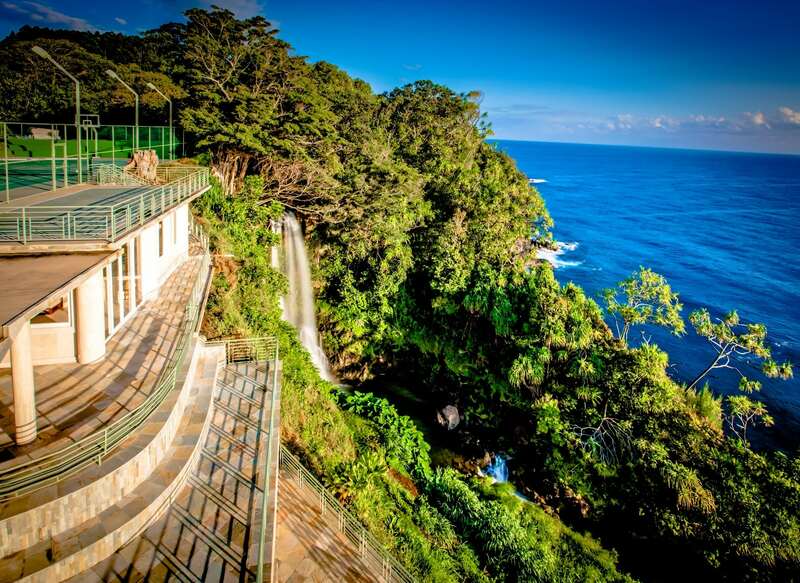 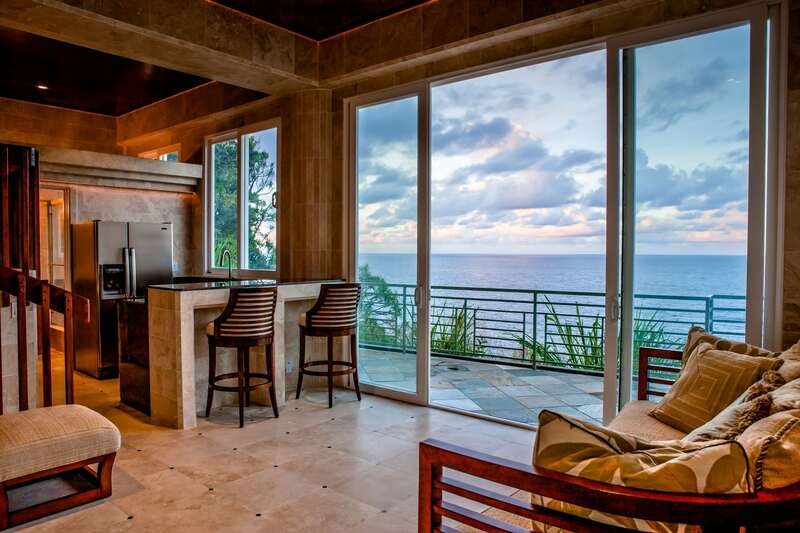 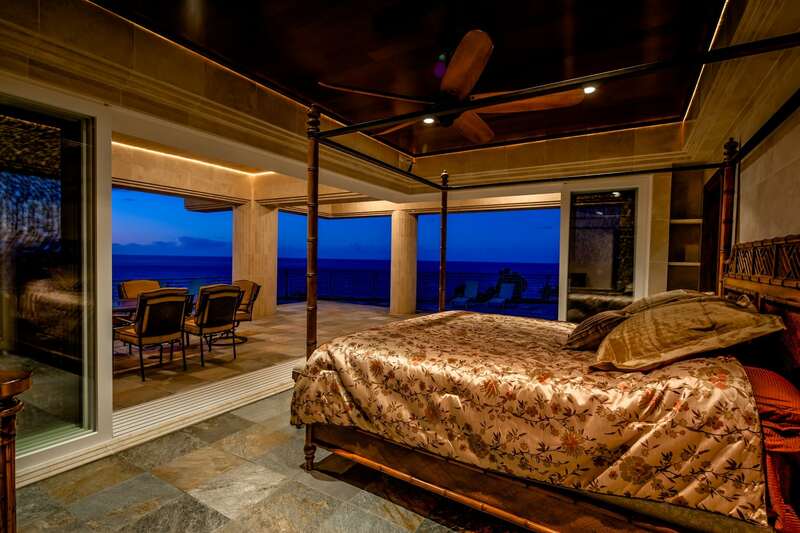 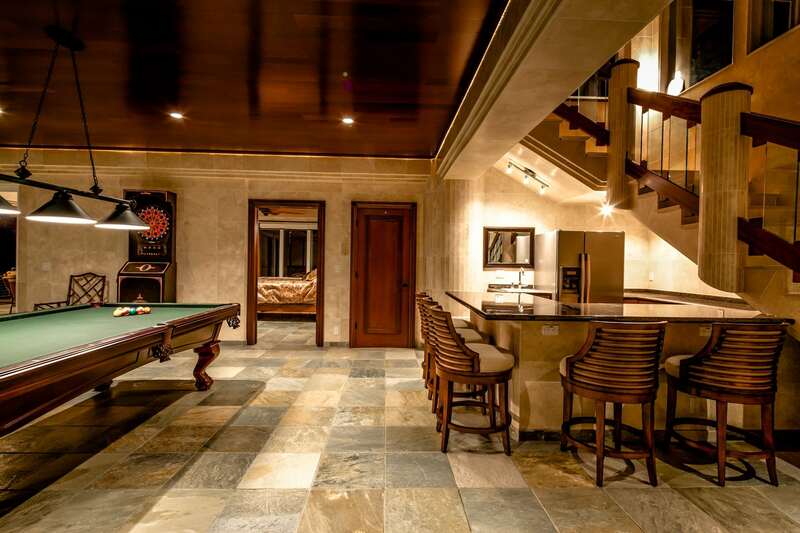 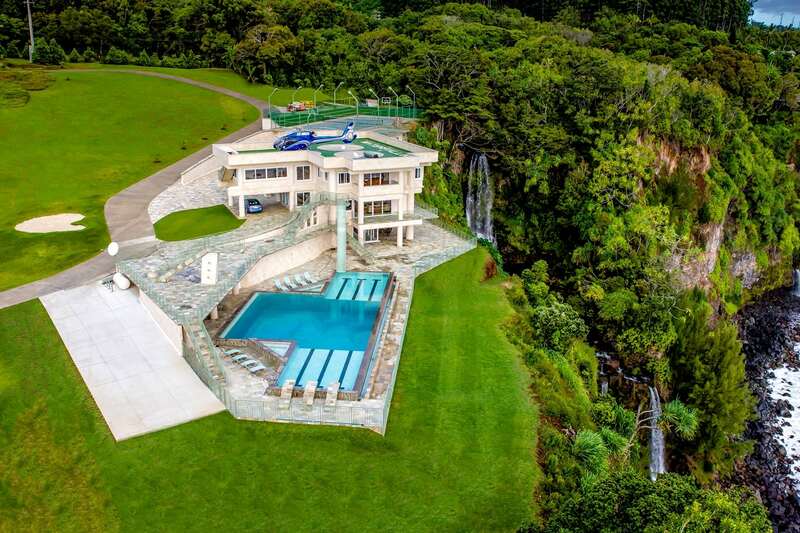 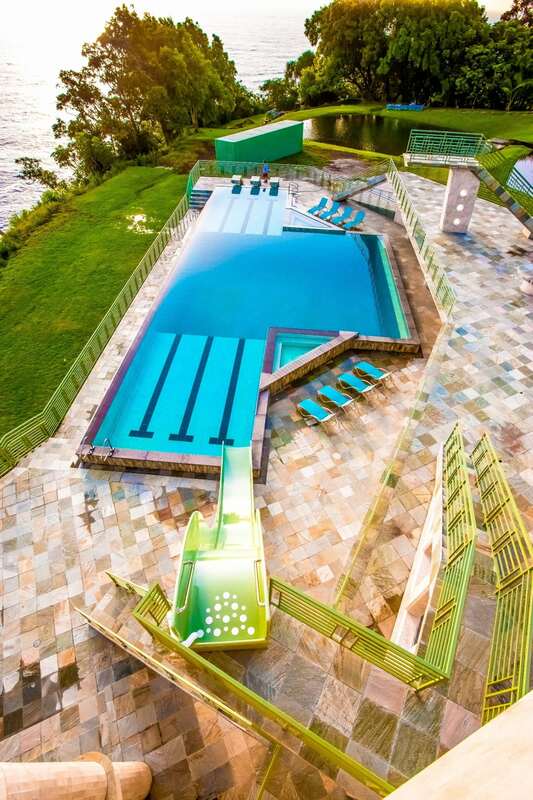 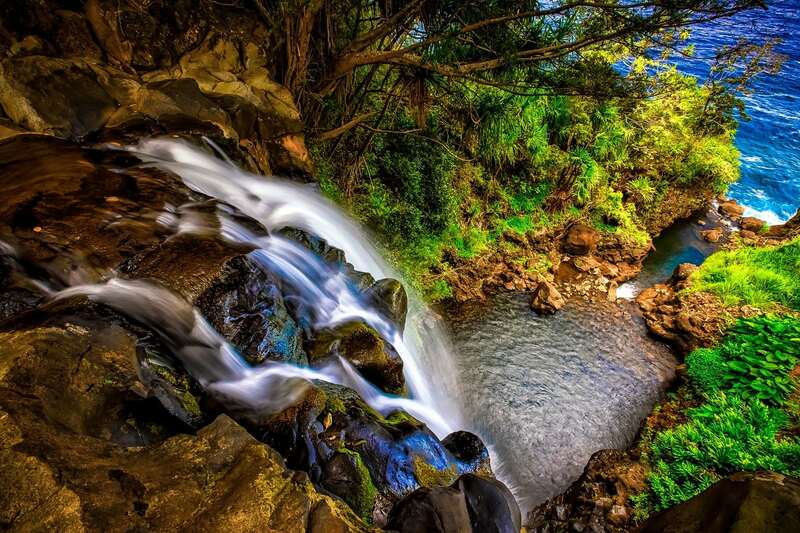 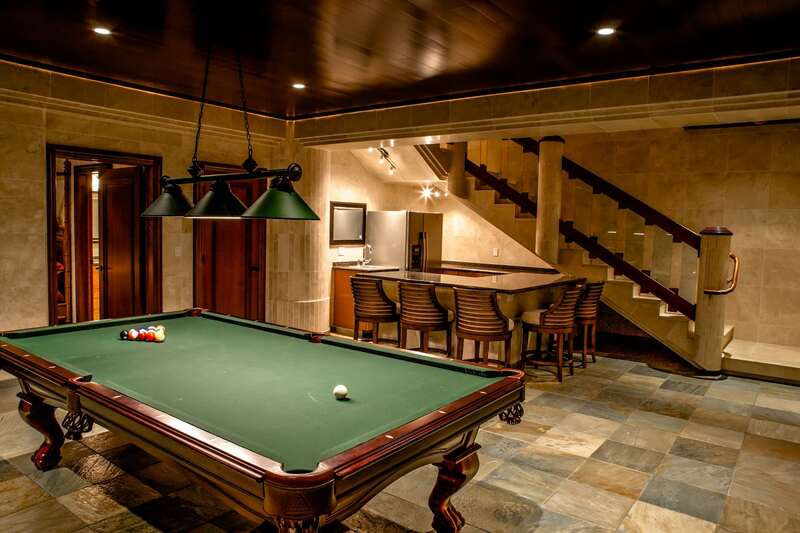 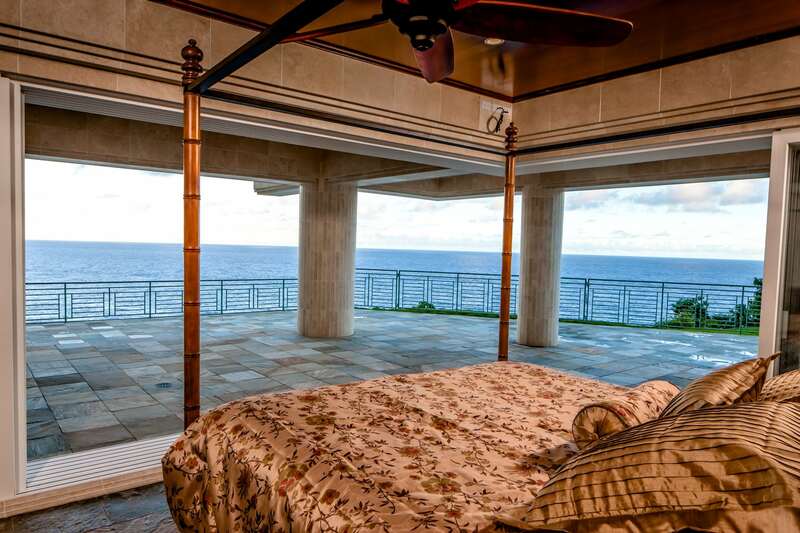 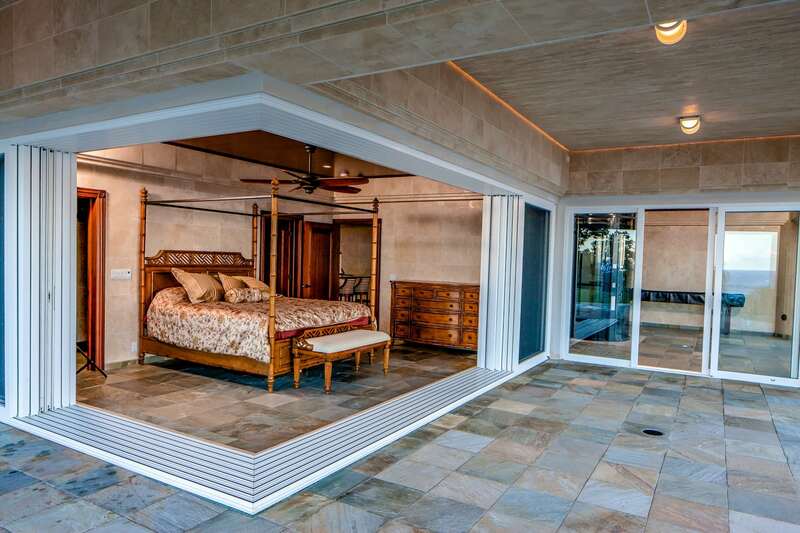 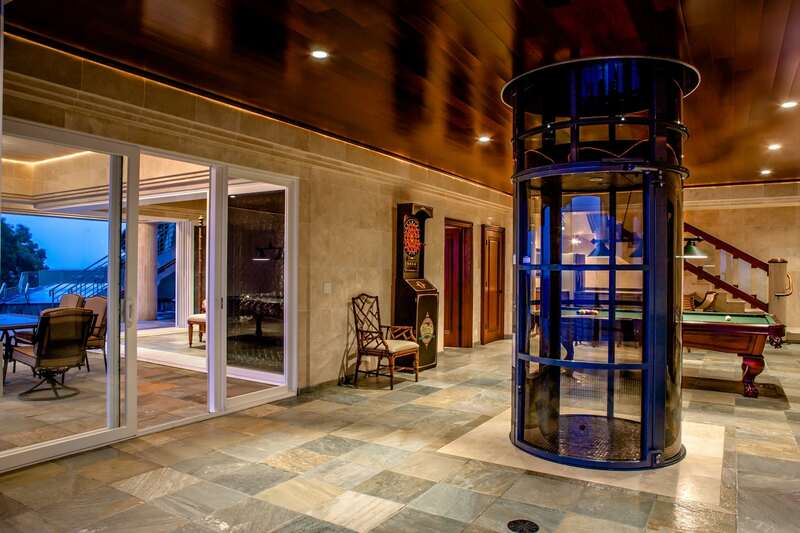 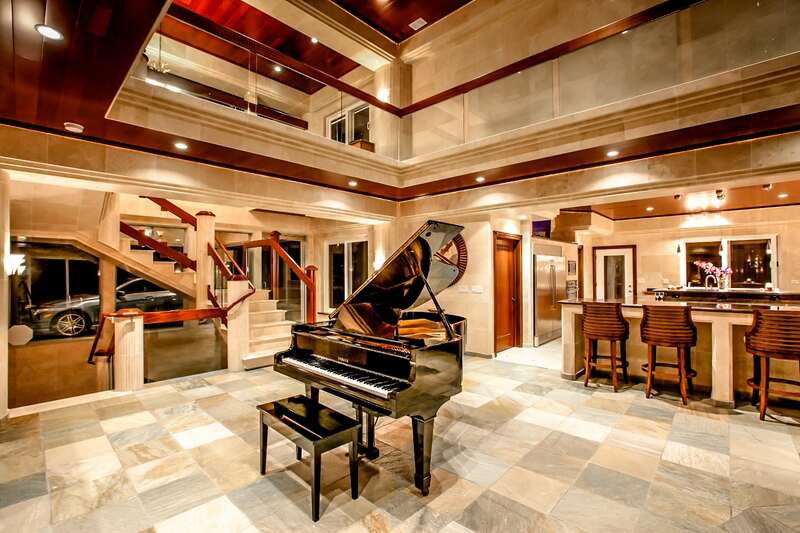 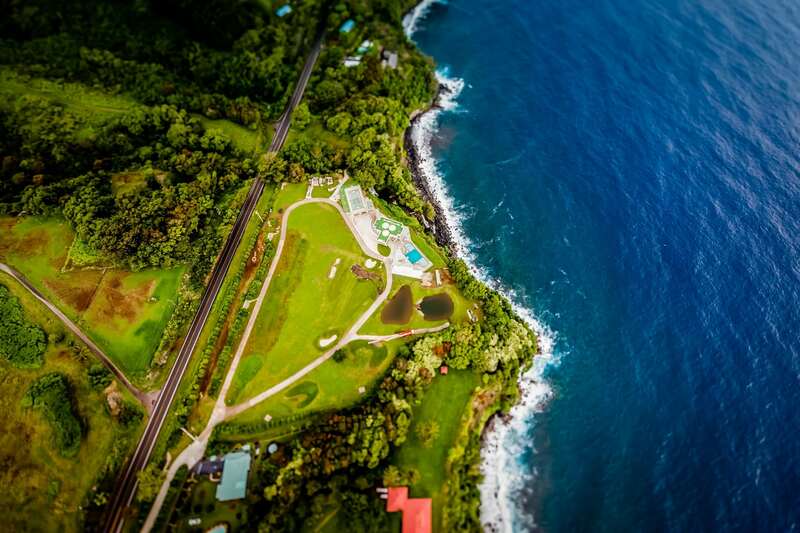 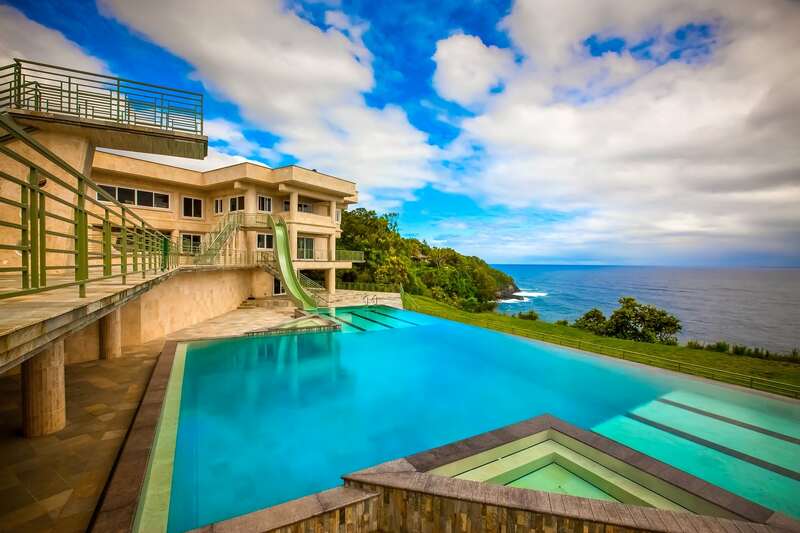 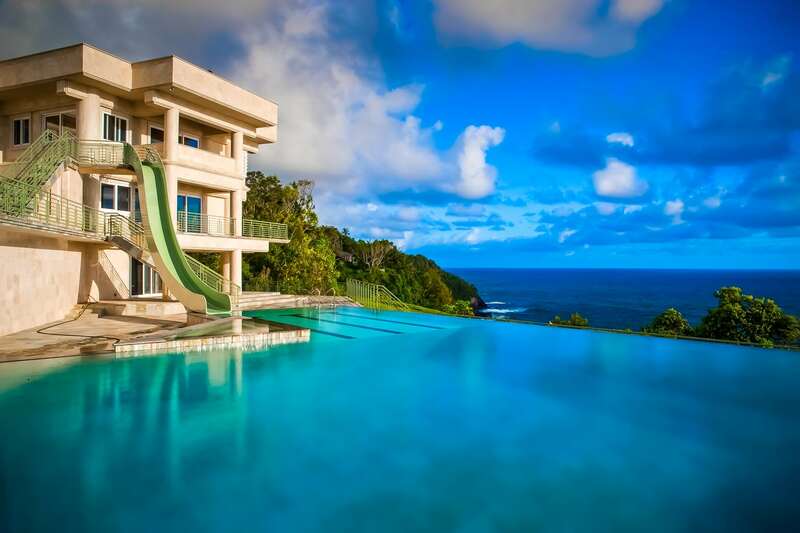 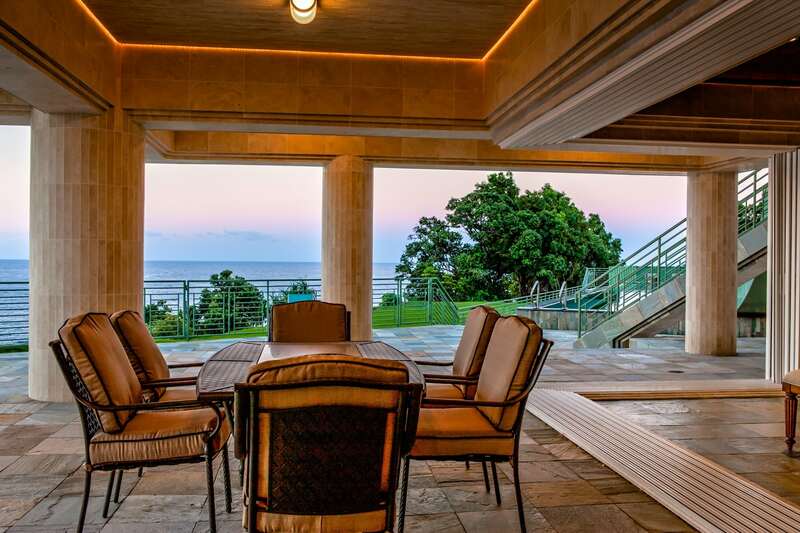 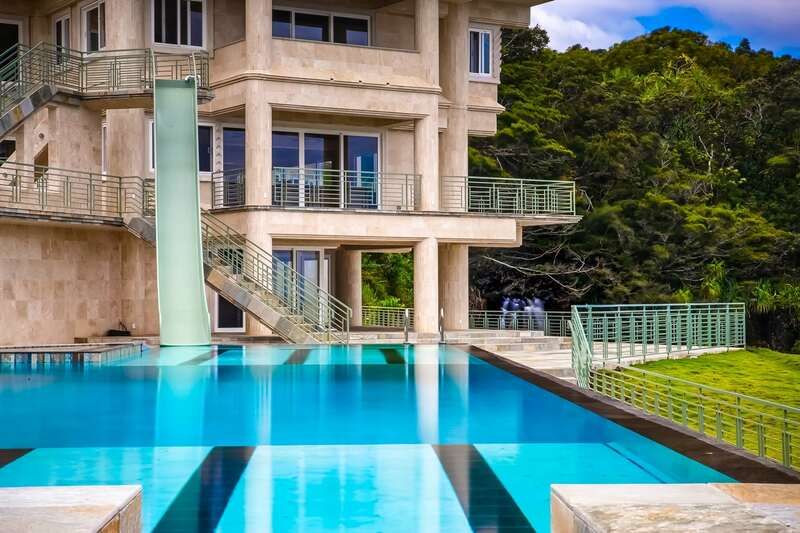 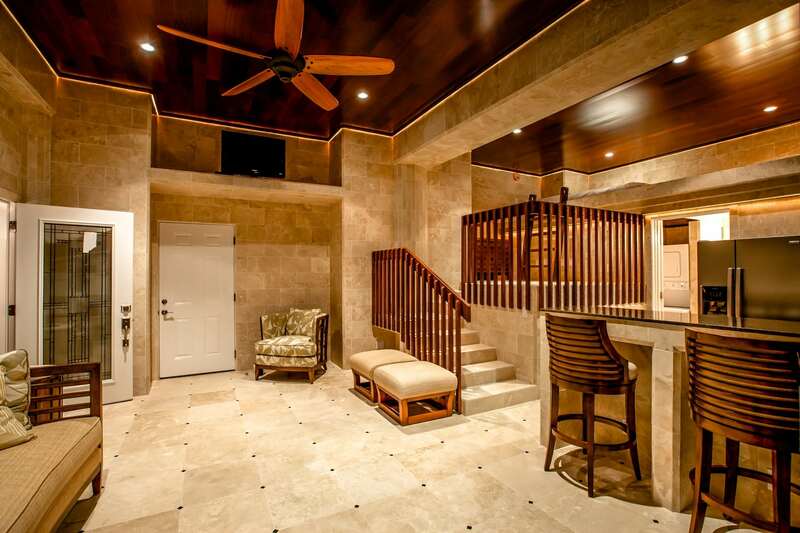 Water Falling Estate is a unique, one-of-a-kind gem on the Big Island of Hawaii.